Five years ago this Earth Day, Seattle’s much-anticipated Bullitt Center opened to the astonishment of many doubters. The building itself was something that many thought could never be done -- a commercial project that meets one of the world’s most rigorous green building standards, the International Living Future Institute’s Living Building Challenge (LBC). At the celebration of the building’s opening five years ago, Bullitt Foundation President Denis Hayes stood in front of the crowd and said buildings should aspire to leave no more negative impact, and as much positive impact, as a tree. Today, five years later, the iconic building sits as living proof of that concept. It’s been net-positive since its opening, meaning it generates more energy than it needs, and provides the surplus back to the grid. In doing so, the Bullitt Center has inspired others to follow its pioneering footsteps. Hayes acknowledged the far-reaching effects of the building at its opening in 2013. “Because we dared to be different and tried to do something that would still be relevant at the end of its design life 250 years from now, we’ve garnered a great deal of attention, and I hope it’s going to be the cutting edge of a wedge of change in the construction industry,” Hayes said. Today, Hayes remains focused on touting not only the energy-efficient milestones of the building, but the financial ones too. 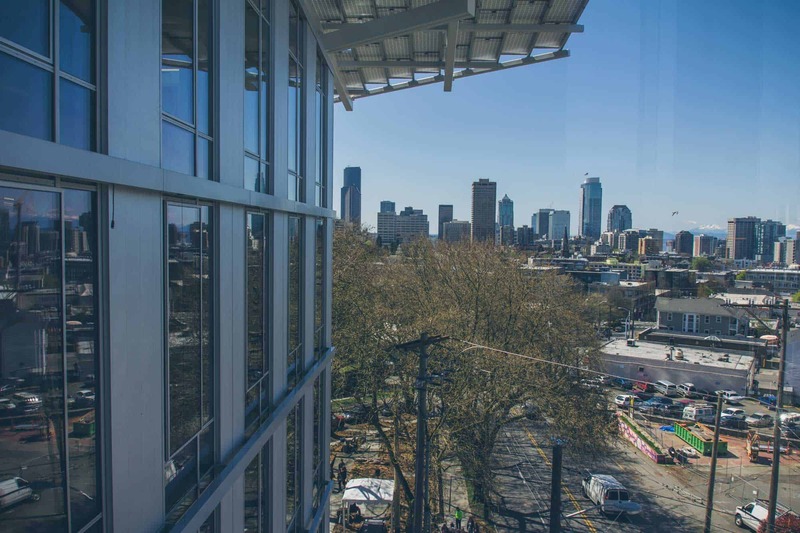 “The Bullitt Center is proof that profitable, zero-energy Living Buildings are possible,” he said. The center is among the top net income performers on a square foot basis of all the properties managed by Unico Properties, according to Brett Phillips, vice president of sustainable and responsible investments for the company. Tenants also benefit financially from the center attaining net-positive status since its opening. The “negawatt-hours,” or energy the building generates but does not use, are sold annually for $50,000 to Seattle City Lights. That money is rebated to tenants as an incentive for helping the office building meet its energy goals. The petals, or requirements, of the LBC are well-known in green building circles. Its standards for net-zero energy and water are pushing the entire industry toward better performance and renewable energy standards. Another major focus of the LBC is building materials. Specifically, no product used on a Living Building Challenge project can contain a substance found on the ILFI’s Red List of chemicals of concern. PROSOCO’s R-Guard line of air and water barriers helped the building achieve both energy and materials petals. The Bullitt Center construction team of Miller Hull, Schuchart and PAE had already worked with PROSOCO’s R-Guard air and water barrier products, and first approached PROSOCO in May 2012 with an aspirational request: Removing one of the Red List chemicals, phthalate plasticizers, from the R-Guard Cat 5 system. Many other manufacturers of similar products walked away from the challenge, not willing to consider what it would take, or disclose their product ingredients. PROSOCO did something different. The company launched an aggressive reformulation and testing effort to maintain the products’ high performance while removing phthalates entirely. “We’re obsessed about product and assembly performance at PROSOCO and believe that a perfectly green product that doesn’t contribute to occupant comfort, building performance and longevity isn’t worth the materials it is made of,” said Dwayne Fuhlhage, PROSOCO’s sustainability and environment director. The ultimate proof of R-Guard product performance came in March 2013 when the completed Bullitt Center underwent a blower door test and passed with flying colors, netting results close to Passive House standards and far out-pacing what is typically considered good for high-performance buildings. that carry a Declare label. 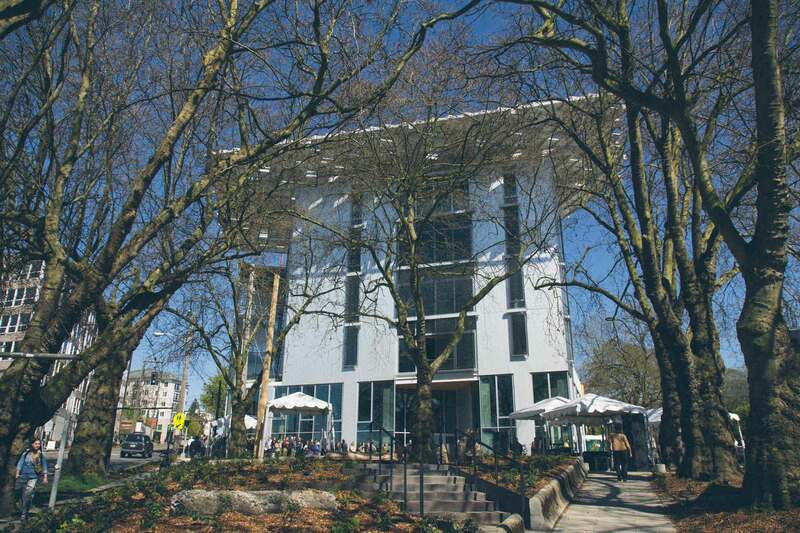 The Bullitt Center’s energy performance and usage remain as great today as it did on day one due to its use of energy-efficient building materials. Also contributing to the Bullitt Center’s achievement of the Living Building Challenge are products that satisfy the ILFI’s Red List and Declare materials transparency program. When it came to the finish on the building’s concrete floors, the product recommendation came down to the sub-contractor, Final Concrete. Keith Miller, the company’s owner, says he suggested using PROSOCO’s Consolideck concrete flooring products to the general contractor, Schuchart Corp., because he had worked with those products before and knew how effective they were. “(The general contractor) wanted the best-performing product that we had worked with, and it was a no-brainer,” Miller said. The Consolideck products were ultimately used on about 90% of the Bullitt Center’s finished concrete floors. The Bullitt Center has inspired thousands of people and companies to aim higher. It has pushed the industry toward higher standards of energy efficiency, materials, health, wellness and beauty. PROSOCO is one of those companies grateful for the inspiration. 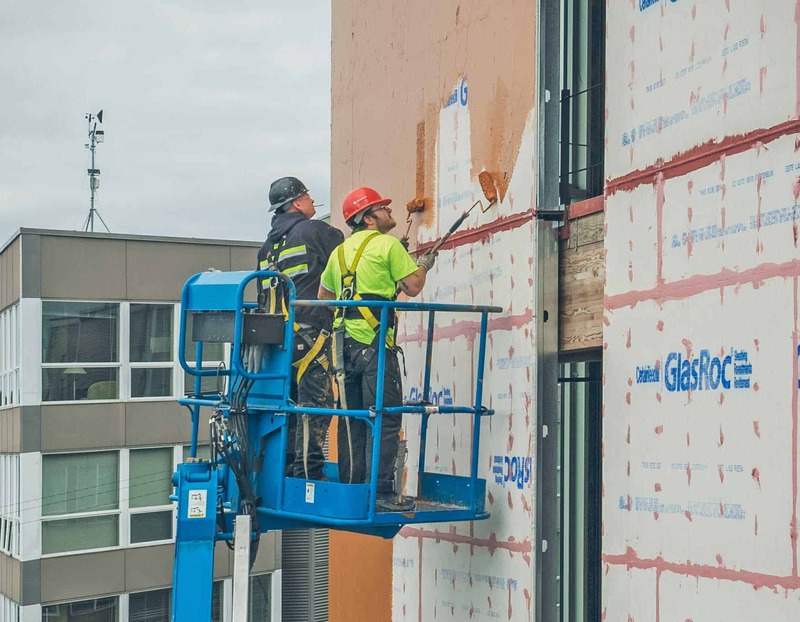 One year after deciding to create a phthalate-free version of our R-Guard air and water barrier products for use on the Bullitt Center, David Boyer decided to pull that ingredient from production of the entire R-Guard line. Since that decision, we’ve eliminated millions of pounds of phthalates from PROSOCO’s production of these products. The impact of that decision didn’t go unnoticed in the industry. When the project team of the R.W. 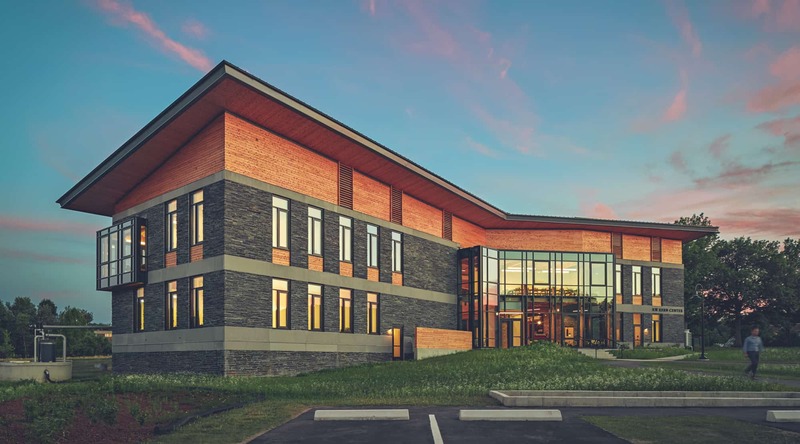 Kern Center, another Living Building Challenge project at Hampshire College in Massachusetts, met with the Bullitt Center project team, the PROSOCO phthalate story was retold.